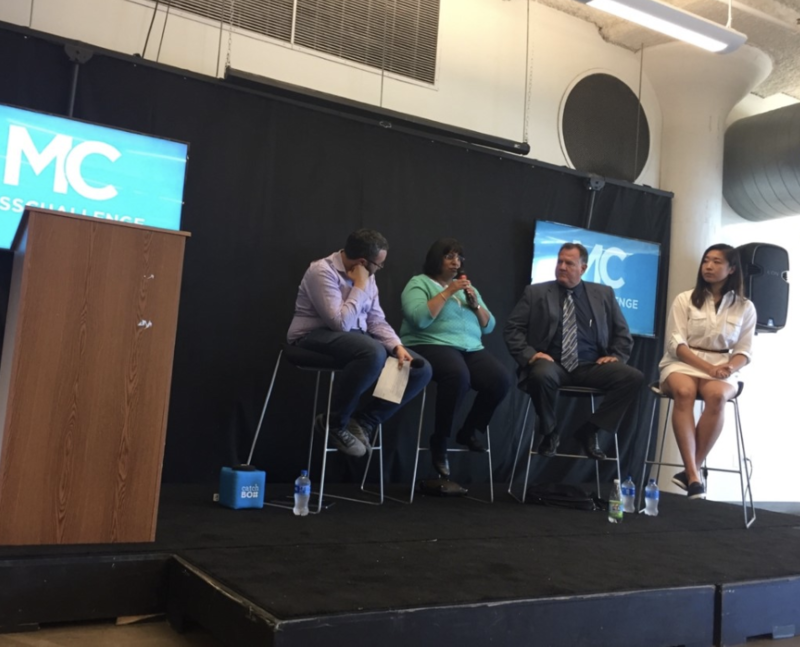 Sheila Narayan chose not to beat around the bush when she was asked about funding for women-owned startups at a recent panel at MassChallenge Boston. From right to left: Rain Wang, Bob Nelson and Sheila Narayan sat on a panel hosted by Leo Guyshan. An article from Fortune confirms Narayan’s dismaying observation, reporting that only 4.4 percent of VC deals in 2017 went to female founders. Furthermore, only 2.2 percent of VC funding in 2017 went to female founders. Funny how that works out, isn’t it? In an interview with Inc.com, Craigslist founder Craig Newmark noted that women-led startups have a 35 percent higher return on investment. That means that even while there are prohibitive biases against female founders in the investor community, there is still a clear financial incentive to throw support behind women-led companies. Then why is it such a struggle for women to receive VC funding? In the same interview with Inc.com, Women Who Tech founder Allyson Kapin explained her theory about why funding is so hard to secure for women in the startup world. “... both unconscious and conscious biases play parts in preventing women from getting funding. The gatekeepers of the investor world are primarily men--white men--and they rely on their own networks for warm leads." While that is pretty demoralizing, Sheila Narayan said the good news is that there is an increasing awareness of the disproportionate allocation of funds across gender lines. Narayan, along with Bob Nelson, the District Director of the Small Business Administration of Massachusetts, and Rain Wang, CEO and co-founder of Skelmet, spoke to startups at MassChallenge Boston about the multitude of funding trajectories that early-stage companies, particularly those founded by women, can pursue. Among other things, Narayan emphasized the importance of articulating your exit strategy in order to lay out a convincing pitch. If you are thinking about pursuing angel or venture capital funding as a female founder, then focusing on your exit strategy could help your chances. An exit, she explained, can be a merger, an acquisition, or perhaps a sale of proprietary technology. Angels and VCs are all looking for an exit strategy as a primary indicator of a worthwhile investment. There are also several different “flavors” of angel investors, Narayan added. There are some angel investors and groups with specializations that might make them more inclined to fund a similarly specialized company. “You have to do your homework and find out who might be best for you,” Narayan said. There are loads of resources that can help with the search for the right angels. In addition to online platforms where angel investors can browse startups seeking funding, there is also a directory from the Angel Capital Association that makes a good starting point for your search. While Narayan spoke about angel investors and venture capital as means to raise funds, Bob Nelson addressed another option - small business loans. He described these loans, which can go from application to realization in three to six months, as simply “free dollars.” Nelson also said that the SBA can help early-stage companies find lenders who are more likely to fund them. Nelson said that the Massachusetts SBA is extremely productive in helping small businesses get access to capital, citing that it facilitated $700 million in loans to about 2800 small businesses in 2017 in the state alone. He explained that SBA-guaranteed loans are an incredibly useful resource for companies who carry some sort of prohibitive risk, including industry risk, the early-stage nature of the business, or lack of collateral. The SBA website for young companies looking for funding, one of those options being an SBA-guaranteed small business loan. If startups want to search for themselves, Nelson recommended that companies look to Lender Match, the SBA’s online lender search platform, for potential sources of funding. Rain Wang co-founded Skelmet, which uses 3D scanning to create custom tailored sport sunglasses. Her company was a 2017 MassChallenge Boston Silver Winner. Speaking from experience, Wang said that her fundraising journey has been full of surprises and lessons learned. “The best thing about crowdfunding campaigns is that you’re able to learn a lot about who your target customers are,” said Wang. Wang talked about the variety that exists within crowdfunding. The platform that an early-stage company uses to crowdfund depends on the model and the type of service it provides. Skelmet was funded through Indiegogo, which tends to host product crowdfunding campaigns, but there are dozens of platforms which serve high-tech companies or nonprofits and offer different incentives for backers. If your company is positioned well to engage a sufficient amount of its customer base and actually pull in revenue, then it might be worth prioritizing a stable cash flow over anything else. 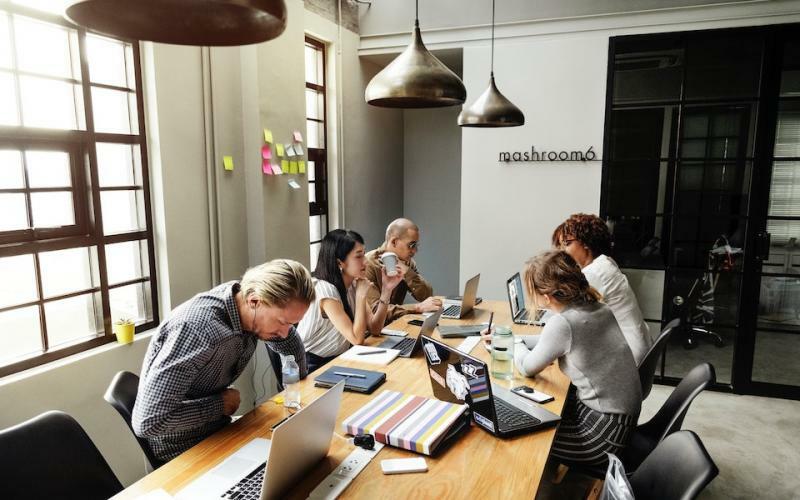 - Despite the headaches and hurdles inherent in angel investment, small business loans or crowdfunding, experts across the board encourage startups to do the research and find the paths that make sense for their company’s needs.